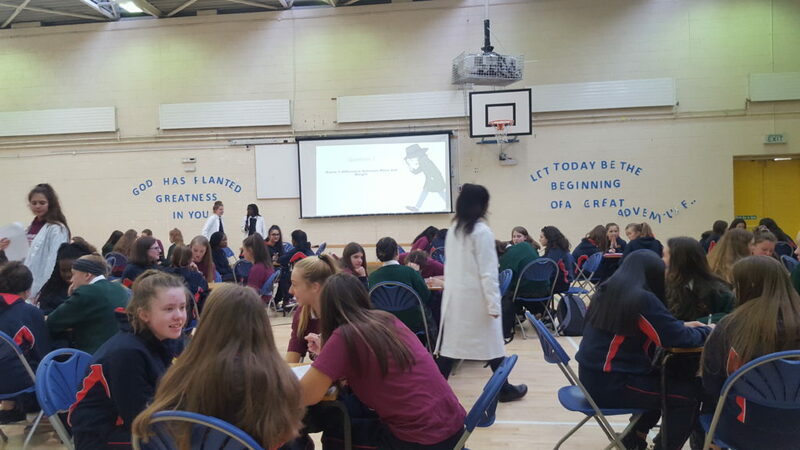 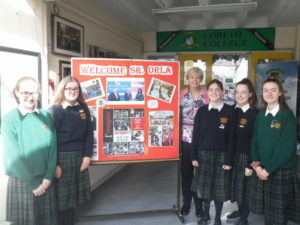 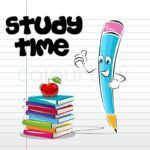 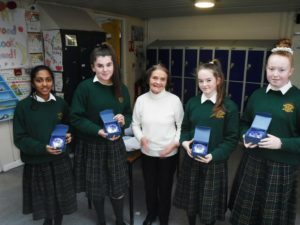 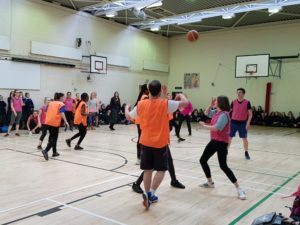 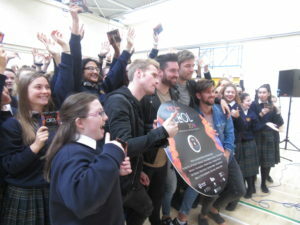 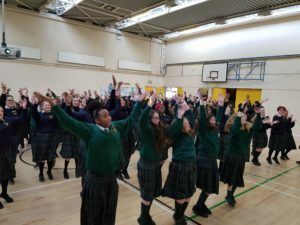 the many events that happen in the life of Loreto College, Swords. 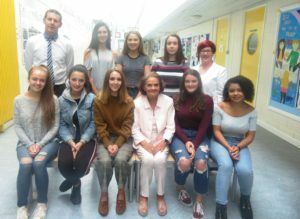 We are delighted to have a French Language Assistant this year Ms Shannon Demoy. 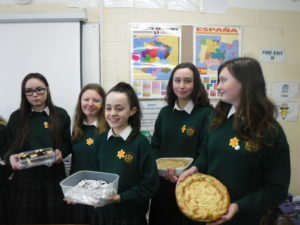 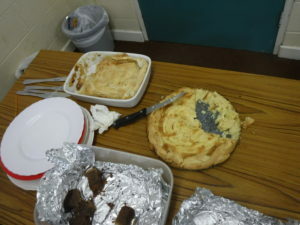 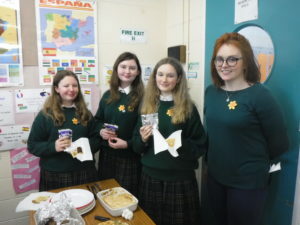 Ms Demoy has been working with students all year round and on Friday she organised a French cake tasting event for students – the girls got the opportunity to learn how to make authentic French dishes and thoroughly enjoyed the experience! 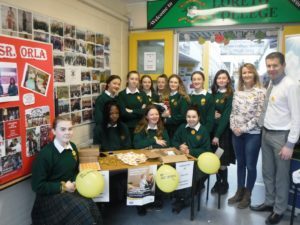 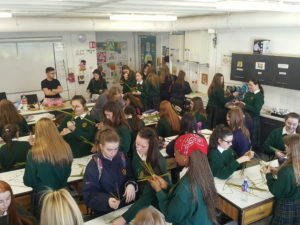 Daffodil Day – our Second Year students organised a fundraising event for Daffodil Day on Friday, 22 Friday. 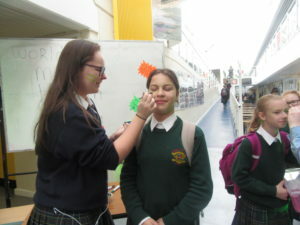 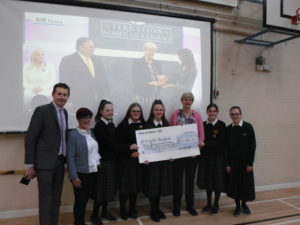 They sold daffodils and pens and organised face painting – they raised over €600 in Aid of Cancer Research – well done girls! 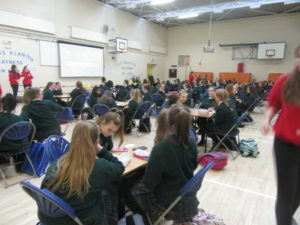 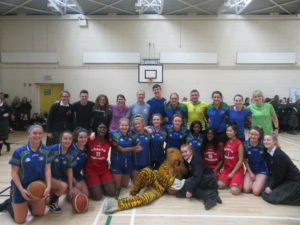 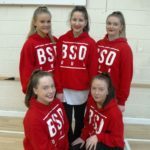 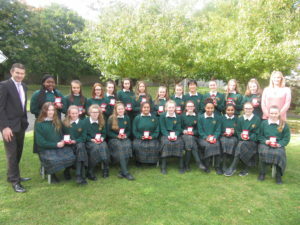 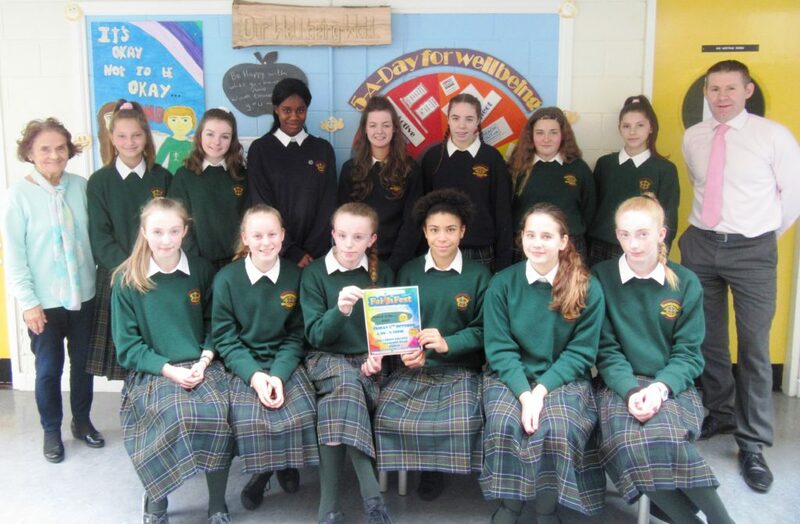 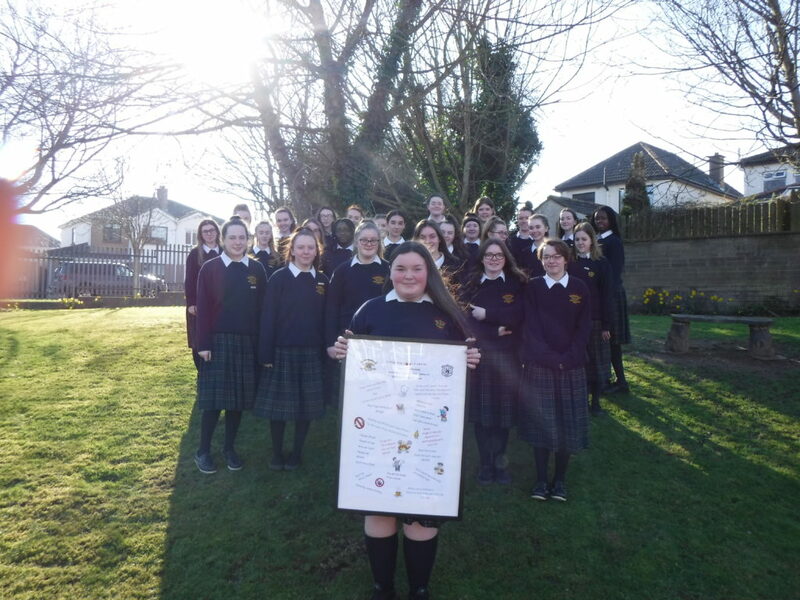 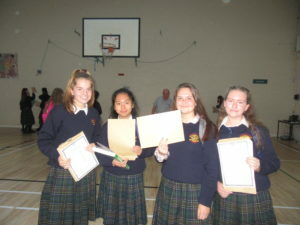 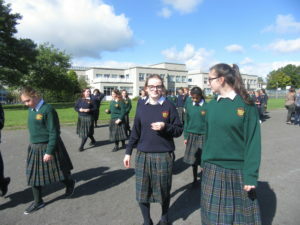 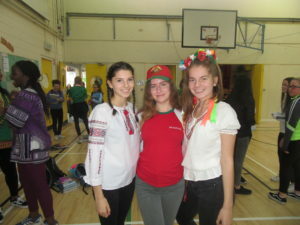 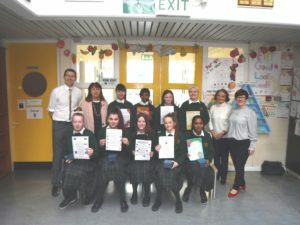 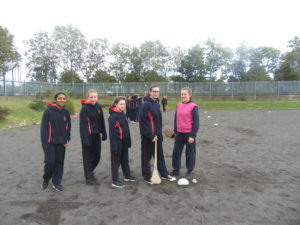 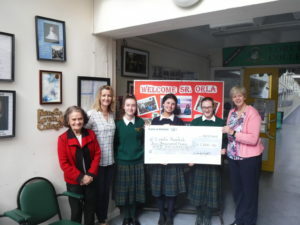 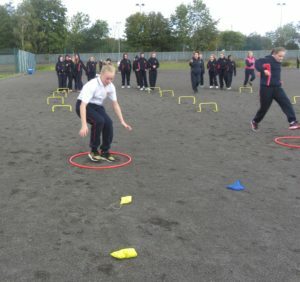 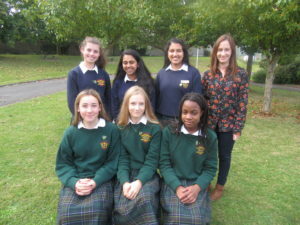 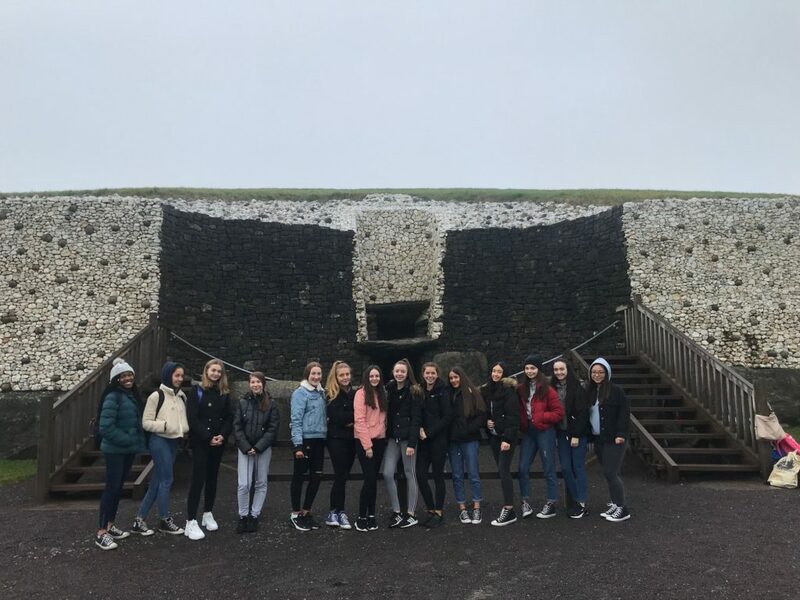 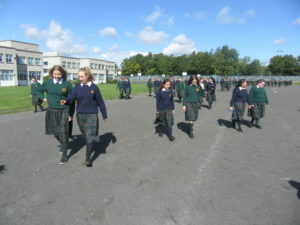 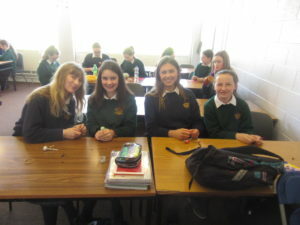 Our Transition Year students at the Regional Fingals – well done girls! 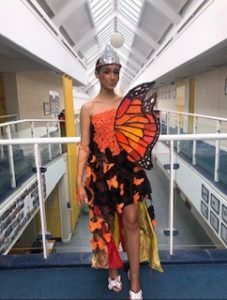 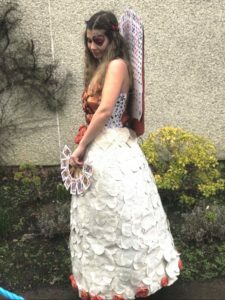 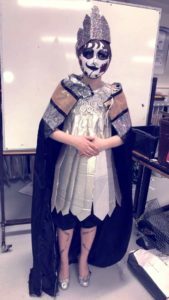 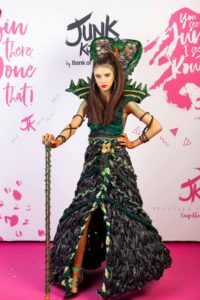 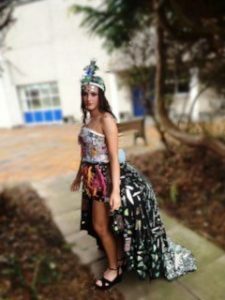 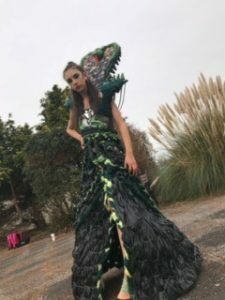 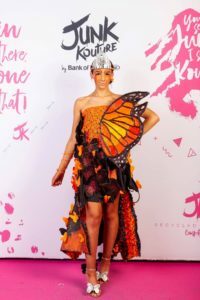 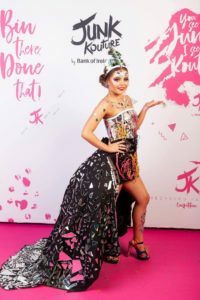 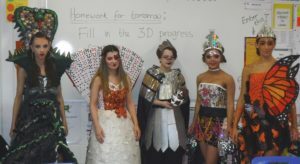 The Transition Students are getting ready for the Annual Junk Kouture Competition – the standard of the dresses this year are amazing and we have high hopes for the students as they wait to see if they get a place in this years Regional Finals – well done girls! 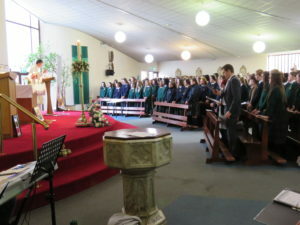 Garda Band Concert took place in St. Finian’s Church, Rivervalley on Tuesday, 4 December. 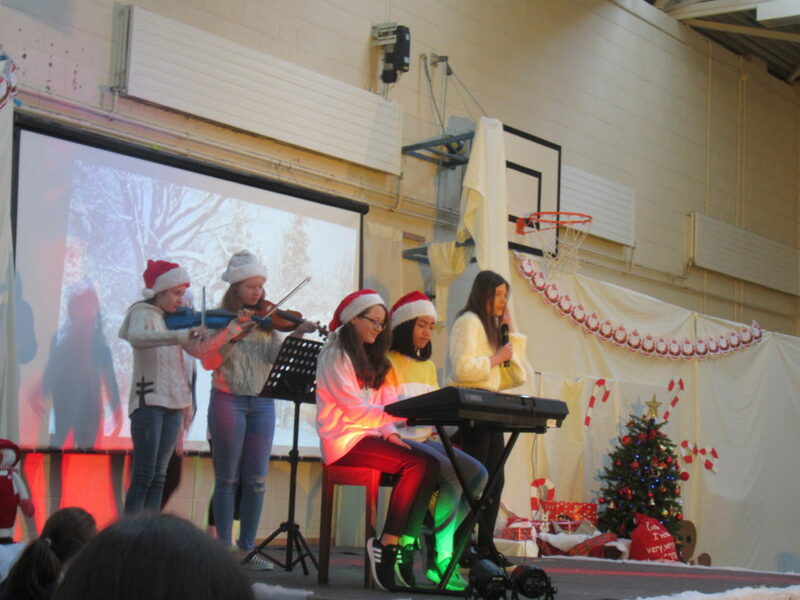 The evening was a great success and we had a full house on the night – all proceeds from the concert are for school funds and we thank the Parents’ Association for organising such a fantastic event. 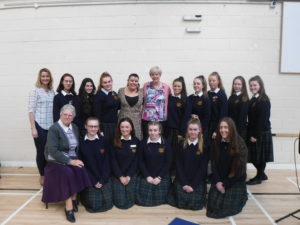 Sincere thanks to the members of the Garda Band for a brilliant night of music, we appreciate the giving of their time to make this such a special occasion. 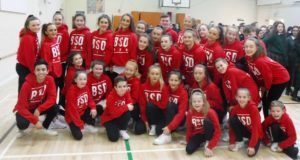 Many of our students took part also and thanks to Ms Heeney and Mr Glennon for all their hard work in preparing the girls. 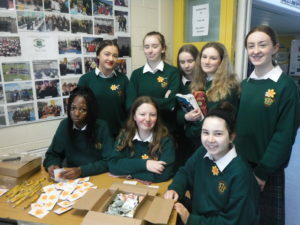 The Annual Shoe Box Appeal took place in November this year. 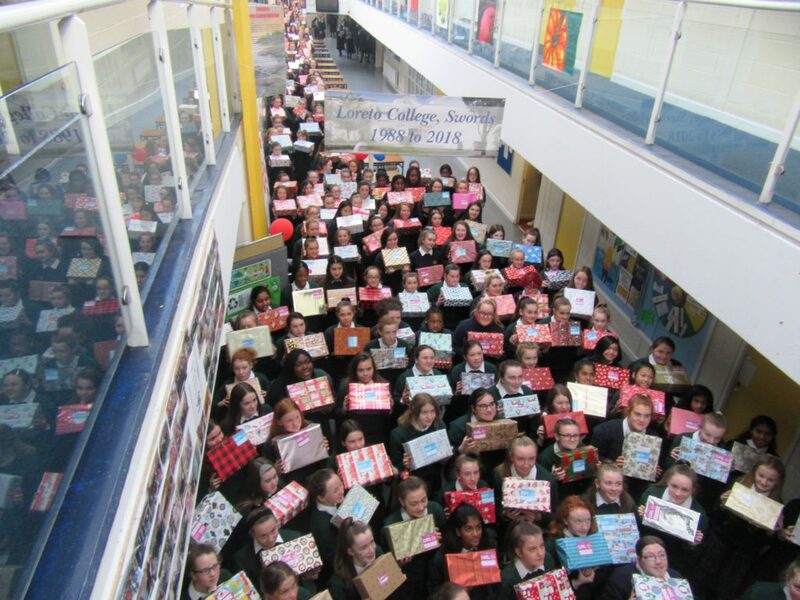 An amazing 415 shoe boxes were filled by students and staff, year on year this appeal continues to grow and we thank Ms Betty Cronin for all her work in organising this shoe box drive. 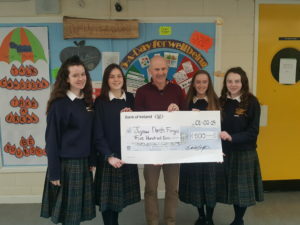 Well done to everyone who contributed to this year’s appeal. 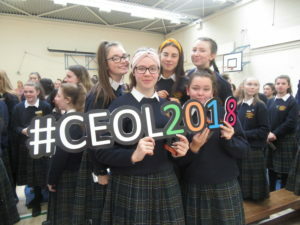 World Mental Health Day took place on the 10th October and this years theme is ‘Young People and Mental Health In a Changing World’, as set by the World Federation for Mental Health. 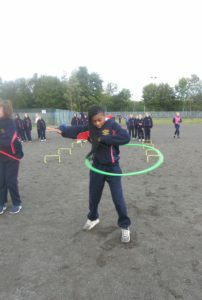 The Five Ways to Wellbeing are simple actions you can do in your everyday life to feel good and function well. 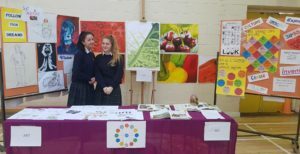 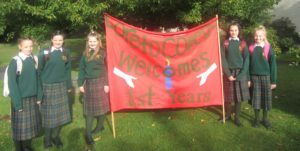 Faith Fest took place on Friday, evening 5 October 2018 in Clonliffe College. 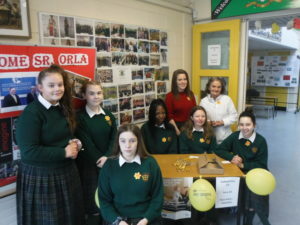 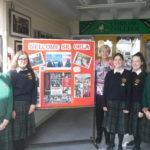 A group of our students attended the event accompanied by Ms Cronin. 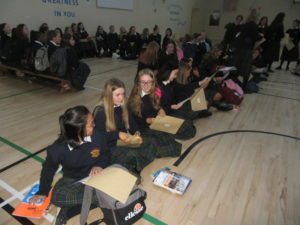 Faithfest is an Event for Teenagers. 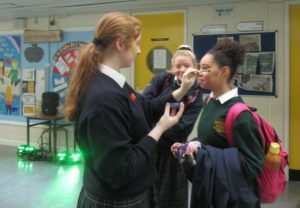 Faith Fest aims to help build spaces where teenagers have an experience of a peer community, explore faith, and encounter an experience of welcome, belonging, discipleship, worship and prayer in a creative and fun atmosphere. 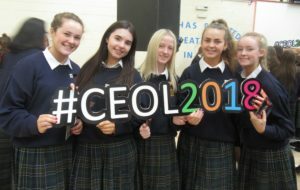 Congratulations to all our students on their Junior Certificate Results 2018. 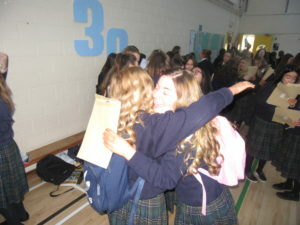 There was great excitement in the school on Wednesday, 12 September as the long awaited results arrived in the school. 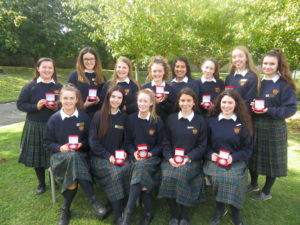 Well done to all the girls on their fantastic results and thanks to their teachers for all the help and support that they gave to the girls.